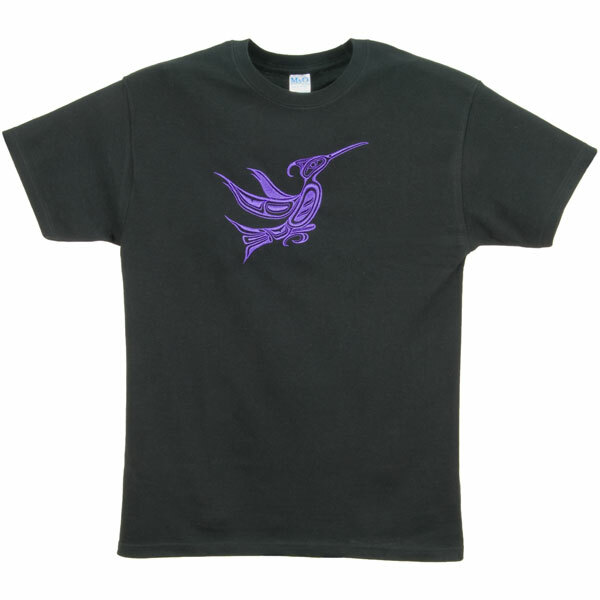 This heavy black T-shirt is embroidered with a hummingbird in purple, designed by Jody Wilson. 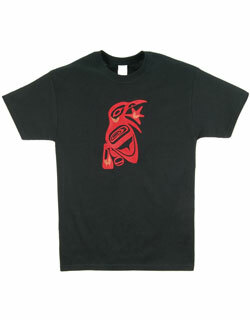 Jody Wilson is a Coast Salish native. He grew up in Ladner, British Columbia where the river and coastal areas provided much of the inspiration and subject matter for his artwork. Jody has made his mark as a master carver in a variety of mediums. 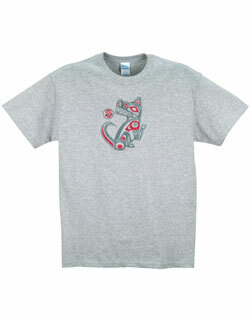 The shirt is made of 100% heavy (10.2 oz) pre-shrunk cotton with high-density embroidery. The cotton is non-fading. Back length of a size L(44) is 29 inches. Imported, embroidered in Canada. 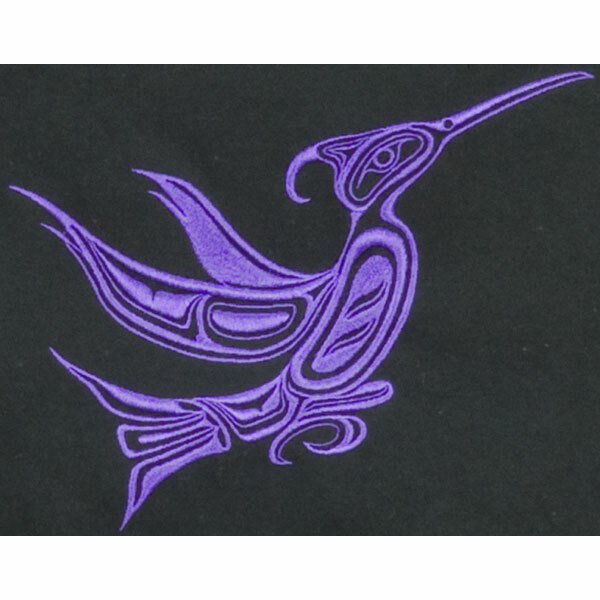 The Hummingbird is one of the less common motifs used by the Northwest Coast peoples, but one of the more delicate. It is marked by its long down-curving bill.